5 Reasons Why Gold Can Be Akshay Kumar’s Highest Grosser Till Date! The theatrical trailer of Gold is set to be unveiled on Monday, 25th June 2018 and there are huge expectations from this Akshay Kumar film. The makers unveiled two teasers as yet and both of them met with an extremely positive response from the trade and audience alike. 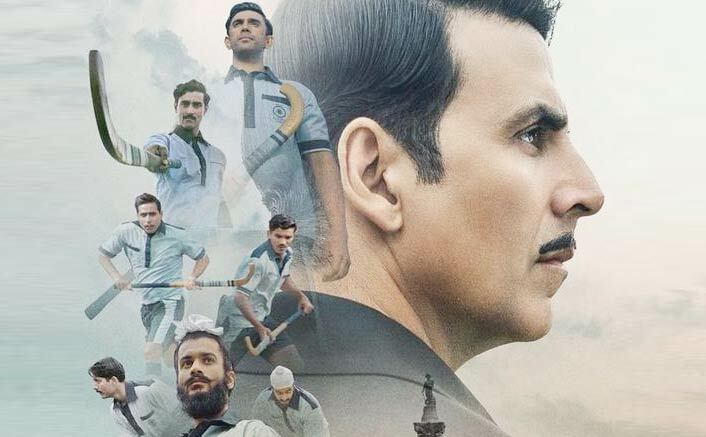 The film, directed by Reema Kagti chronicle’s the journey of Indian Hockey Team’s first olympic win, wherein Akshay Kumar will be seen essaying the character of a hockey coach. 1. Akshay Kumar has associated himself with quality cinema for the last few years and won the trust of multiplex audience. The same is expected to translate into numbers when the film releases across the globe on 15th August. 2. Gold probably has one of the best release dates of the year with as many as 4 holiday’s (including partial holiday’s) in the first week. Although the film will face competition from Yamla Pagla Deewana Phir Se and Satyamev Jayate, it will be able to make up the ground if it commands a positive word of mouth. The four holiday’s include: Independence Day, Parsi New Year, Sunday and Bakri Eid. 3. Patriotic films are the flavour of the season with the likes of Raazi and Parmanu finding acclaim from audience all across. A patriotic film releasing on Independence Day is a formula of success. 4. As compared to the last two Akshay Kumar Films i.e. Toilet: Ek Prem Katha and Padman, Gold is a lot more commercial and appeals to a wide spectrum of audience. The film should appeal to both multiplex and single screen audience, thereby setting the cash registers ringing. Gold is infact the beginning of a new era for Akshay Kumar, who has a lot of big budget films lined up for release as a follow up. 5. Akshay Kumar has teamed up with Excel for the first time, and this is indeeding an exciting pairing. Reema Kagti’s last film, Talaash was critically acclaimed and found acceptance for a minor section of audience. With Gold, she is expected up her standing in the industry. The movie also stars Amit Sadh, Mouni Roy and Kunal Kapoor in pivotal roles. Do you think Gold will emerge the biggest grosser of Akshay Kumar by surpassing Rowdy Rathore (Rs 135 crore)? Let us know! The post 5 Reasons Why Gold Can Be Akshay Kumar’s Highest Grosser Till Date! appeared first on Koimoi.